Marbella is for Living Marbella offers a life that brings together the global and the local. Due to its facilities and elite social scene, many flock to live in Marbella or buy holiday homes here. Marbella offers an array of the finest properties: from luxury apartments and penthouses to exclusive designer villas, stunning developments built with sustainability in mind and plots where you can build your home away from home. 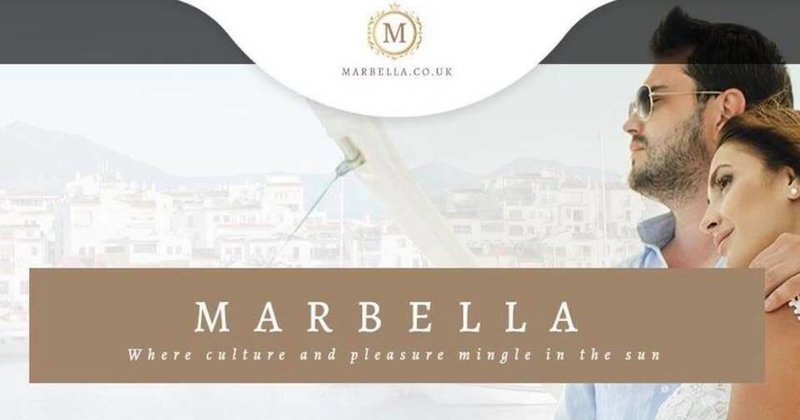 At Marbella.co.uk we offer a completely confidential and bespoke property consultancy service, specialising in delivering prestigious properties to the discerning buyer. We are not agents: we work with you as your ‘property concierge’, taking detailed instructions from our clients and then liaising with the most discriminating real estate agents who also work with globally known brands such as Sotheby’s International Realty, Christie’s International Real Estate , Knight Frank and Savills. Our focus is also on helping you to find your property at Marbella’s finest addresses, including La Zagaleta, El Madroñal and Sierra Blanca, which have proved over time that they are the most desired residential developments for those buyers who wish to maintain an exclusive lifestyle. Marbella’s Golden Mile, which takes in magnificent properties at both the Marbella Club Hotel and its neighbour, the Puente Romano Beach Resort & Spa, is also highly desirable and with our network of contacts, we can assure you that you’ll only see the best properties available, and that your search for a home in Marbella will be conducted with the utmost discretion and attention to your privacy. But it would be a foreign aristocrat who would profoundly turn the wheel of Marbella’s fortunes and its global image. In the 1940s, Prince Alfonso de Hohenlohe stopped in Marbella due to a problem with his Roll Royce. While waiting for the repairs to his vehicle to be completed, he explored the small city and fell in love with it. He also decided it was the perfect location for hotels and residential complexes, so he bought land for commercial purposes, primarily on what is now known as the ‘Golden Mile’ but is more correctly called the Bulevar Principe Alfonso von Hohenlohe, named in honour of the man who almost singlehandedly created modern Marbella. In 1954 he opened the doors of the now legendary Marbella Club Hotel and with a personal address book that contained the name of European royalty as well as Hollywood stars and political celebrities, he quickly managed to attract them all to this new location in southern Spain where they could enjoy a thoroughly modern form of discreet luxury delivered with timeless, aristocratic polish. With the help of Count Rudi von Schönburg, who managed the Marbella Club, the hotel, and Marbella, hosted a long list of famous names, including Sophia Loren, Ava Gardner, Audrey Hepburn and Cary Grant, as well as Prince Rainier III of Monaco and his wife, Princess Grace, the former actress Grace Kelly, and many more. Prince Alfonso’s vision had a remarkable effect, and soon other high profile names made Marbella their playground. The arrival of Prince Fahd bin Abdul Aziz al-Saud in the 70s, former King and Prime Minister of Saudi Arabia, and his construction of a summer residence, the Mar-Mar Palace, which was modelled on the White House, as well as his brother Prince Salman’s Al Riyad palace nearby, brought even more focus on the city. The presence of royalty, plus the buzz that was being generated by the Marbella Club Hotel and also by its sister, the Puente Romano, ensured that the Golden Mile became not merely an address, but a globally famous destination. Other famous Marbella residents include Sean Connery, most famous for his portrayal of the most suave spy in the world, James Bond. Singer Rod Stewart had a house here for many years, as did Formula One racing driver, James Hunt. Today, celebrities still head to Marbella and it is a favourite retreat of actress Elizabeth Hurley, tennis player Novak Djokovic and a host of Europe’s leading football players, including Cristiano Ronaldo. And, it is impossible to talk about the famous in Marbella with mentioning Antonio Banderas who owns a beachside residence here, as well as residences in his birth city of Málaga. Given its international profile as a destination that provides a casual yet luxurious ambiance, it is only logical that Marbella’s finest properties are in harmony with the city’s evolution into a high quality resort with global appeal.As a result, Marbella has an extraordinary wealth of sensational residences and diversity in architectural styles that all blend with, and are enhanced by, the surrounding scenery. From spacious apartments to elegant mansions, Marbella’s top-drawer properties offer security, quality and privacy – in fact everything you need to relax and live Marbella style. Click here to search our collection of Marbella’s homes of distinction.